From premium business smartphones with cutting-edge features to affordable business mobile phones with the essentials, Samsung’s secure mobile phones for business seamlessly integrate into your company’s mobile ecosystem and deliver the tools you need to be productive anywhere. What’s the best phone for your business? Take this assessment to find the perfect phone for your business from Samsung’s entire device portfolio. Drawing on research from Oxford Economics, our Enterprise Mobile Cost Calculator provides business decision-makers with a top-line view of their mobile cost structures compared to companies in their industry of a similar size. Sign up to get a comprehensive guide and customizable template that sets out a step-by-step process for writing or updating a BYOD policy for your organization. Sign up to get a comprehensive guide that provides an eight-step model for planning and rolling out a mobility initiative. Sign up to watch this in-depth Gigaom-hosted webcast on how you can solve unique business challenges through mobile device customization. Please provide your contact details and our sales team will get back to you about Samsung mobile phones for business. Or you can call (855) 581-6892 to talk to an expert now. Designed to drive workplace productivity. Combining Galaxy tablets with the productivity of Windows. Stay connected at work with wearables. Explore a world of new opportunities. Get more out of your Samsung mobile device. Device configuration, enrollment and management. 2Using Samsung genuine HDMI adapter or cable qualified for Samsung DeX is recommended. Accessories and monitor sold separately. Screen images simulated. Certain apps may not run or require license (for purchase) on Samsung DeX. Samsung DeX using a HDMI adapter or cable only available on Samsung Galaxy S10, Note9, S9 and Galaxy Tab S4. 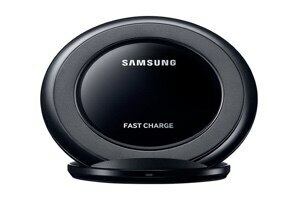 The cable is sold separately and some functions may differ from DeX Pad/DeX Station. DeX Pad and DeX Station (sold separately) are compatible with Galaxy S8, Galaxy Note8 and later models of the Galaxy S and Galaxy Note series. Galaxy S8 | S8+ | S8 Active and Note8 require Android Oreo or higher to support all DeX features, including DeX pad. DeX works with compatible HDMI monitors and USB or Bluetooth compatible keyboards and mice. Third-party VDI solutions sold separately.